add textPadding for showToast method. When ui.window's size changes, toast is moved. Now, OKToast add a params dismissOtherOnShow to dismiss other toast. add a method dismissAllToast to dismiss all toast. add a param with showToast to dismiss other toast. showToast and showToastWidget will return ToastFuture the toastFuture call dismiss() to dismiss toast. you can use oktoast wrap your Scaffold. use BuildContext cache. 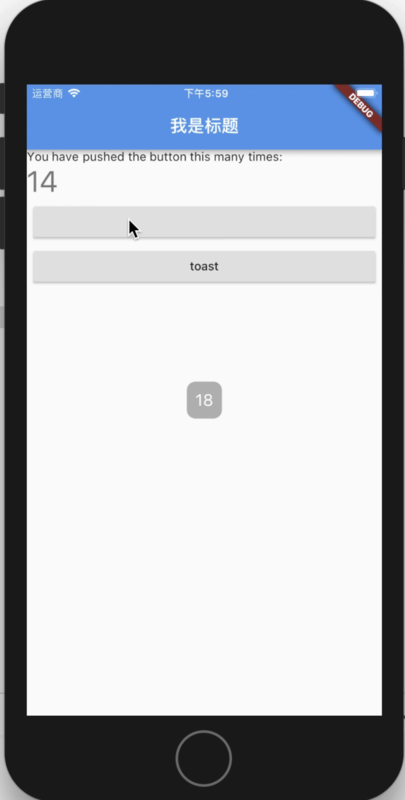 then showToast not need context, you can use the showToast in anywhere. "the toast dismiss"); // the method will be called on toast dismiss. 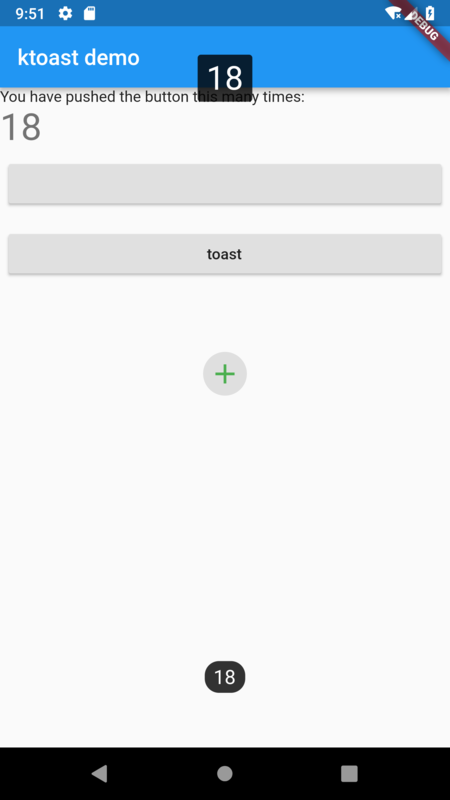 A pure flutter toast library Support custom style/widget. Easy to use. You can use this library to achieve the same effect as Android toast.